City planner, architect, and author Robert C. Weinberg advocated for the preservation of Greenwich Village, Grand Central Terminal, and the Jefferson Market Courthouse. In 1941, Moses orchestrated Weinberg’s removal from the Department of City Planning,3 where he had been working since 1939. Beginning in 1943, Weinberg worked with the Chicago Housing Authority in establishing prefabricated and low-income housing as well with the Cleveland Planning Commission. He returned to New York by the end of the decade, preparing the 1948 master plan for Washington Square – a location he would continue to defend and preserve for the rest of his life. In 1968 Weinberg became the critic-at-large of architecture and planning for WNYC, New York’s municipal radio station, regularly giving two talks a week until 1973. He died in 1974. Fascinated by the role government could play in advancing the beauty of a community and concerned with aesthetic regulation, Weinberg was a part of numerous preservation campaigns throughout his lifetime. Weinberg was equally vociferous in opposing the 1960 proposal to install a three-tier, 44-lane bowling alley within the Waiting Room of Grand Central Terminal – which was never built. Less successful, but no less hard-fought was Weinberg’s plan to save Pennsylvania Station in 1962. Weinberg again defended Grand Central Terminal in 1968. Weinberg was incredibly devoted to Greenwich Village, where he lived the majority of his life. This began in 1948 when Weinberg helped prepare a master plan for Washington Square. He also served on the Community Planning Board at this time. Weinberg was a proponent of the Washington Square Southeast Development in the 1950s. In 1956, while a member of the Municipal Art Society, he engaged in an effort to “consider ways and means of having the Bard Act implemented with respect to New York City.” He also served as editor of “Planning and Community Appearance.” A comprehensive study on civic development and planning, the report was a compilation of observations made by architects and planners who studied governmental influences on community appearance. Robert Weinberg was also involved with the zoning amendment that saved Greenwich Village. On June 24, 1959, City Planning Commissioner James Felt announced that his proposed zoning resolution was not designated to take effect until one year after its passage. The one-year grace period that Felt’s proposal allowed left areas like Greenwich Village vulnerable to developers, who were in a mad rush to implement new projects while the old zoning rules still applied. 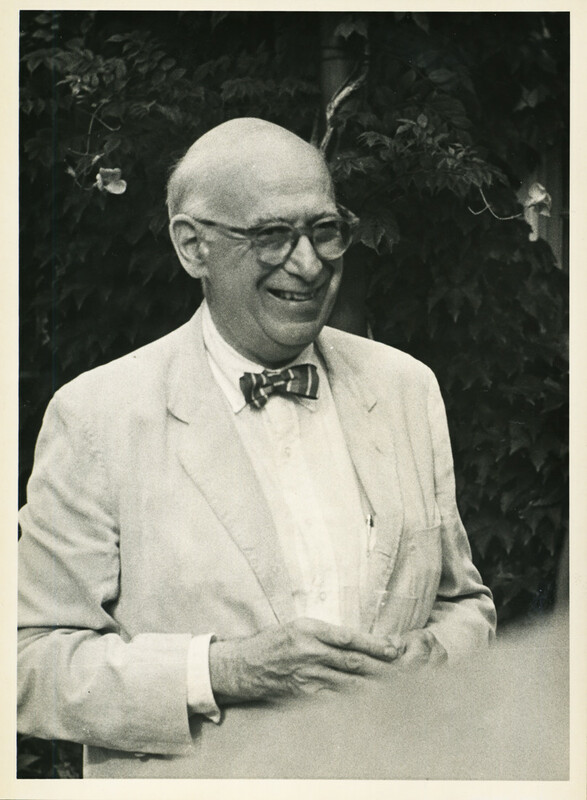 Throughout his career he was also supportive of a New York City Landmarks Law and a New York City Landmarks Preservation Commission.9 Weinberg fought for the preservation and adaptive reuse of Jefferson Market Courthouse in 1967. The collection houses 78 linear feet of papers and over 150 rolls of architectural drawings documenting the professional work of city planner and architect Robert C. Weinberg. “Robert Weinberg, Regional Planner: Vinmont Project Architect and Consultant Dies, 72,” The New York Times, 26 January 1974, page 34. Robert Caro, The Power Broker: Robert Moses and the Fall of New York (New York: Random House, 1974), page 488. Albert Fein and Elliot S.M. Gardener, eds., A Guide to the Professional Papers of Robert C. Weinberg (New York: Long Island University Department of Urban Studies, 1984). Anthony C. Wood, Preserving New York: Winning the Right to Protect a City’s Landmarks (New York: Routledge, 2008), page 136. Owen Grundy, “The Boiling Cauldron-GVA,” Villager, 22 October 1959. ”Savers Don Old Hats for Hearing,” Villager, 10 March 1960.